Many professionals are drawn to the idea of freelancing – the flexible schedule, relative freedom and more creative working environment -- are possible perks of this alternative work style that are worth consideration. Moving from gaining extra cash or pursuing a hobby to a full-fledged freelancing career is like a revolution ... you'll find yourself in a completely new professional context and it will take time to navigate the freelancing lifestyle. Here are 6 tips to help you launch a successful career as a freelancer. Before you quit your job to start working on your own, analyze your needs and define your goals. Your primary goal will be supporting yourself, so start thinking about how much you should charge for your work, how many projects per month you will pursue and how many potential clients you'll need to have on an ongoing basis to make a living. You'll be the one managing your projects and scheduling your time, so make sure you know which tools can help you in that pursuit – choose tools from simple ones like Google Calendar, to more robust ones such as Insightly, (an online customer relationship management and project management tool). 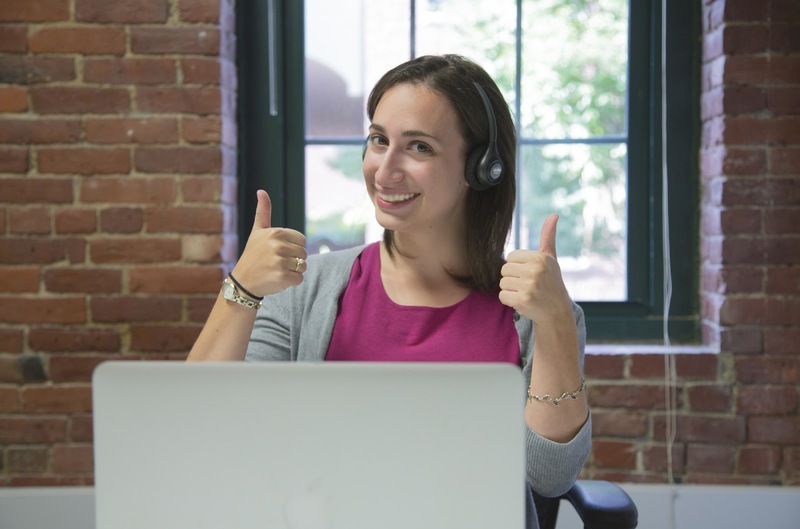 There are many ways that you can choose to operate your freelancing business. You can set up a sole proprietorship for your unincorporated business, or establish a legal entity for your operation, for instance a limited liability company or corporation. Many freelancers choose to set up limited liability companies (LLC), because you get all the benefits of a legal entity without having to deal with the hassle of corporation. Make sure to educate yourself on the financial and legal aspects of your operation. Your personal brand greatly influences your professional brand, so be cautious about what you show to the world on the web. Set up a strong personal LinkedIn profile promoting yourself as a freelancer and actively participate in relevant LinkedIn groups. Add value to groups discussions to build your credibility as an expert. Remember that promotion and marketing are at the core of every freelancing business – take spending time on such activities into account when planning your schedule and making financial predictions. Yes, a nice website showcasing your portfolio is a must, but it's certainly not the only way to get business. Choose networks that are relevant to your industry and market yourself in a few different channels. You can advertise your services to targeted clients on LinkedIn, Twitter and Facebook, as well as promote your business on niche social media that you know your potential clients check. And don’t forget to advertise your services on job hunting sites like, Gumtree, (a free classified advertising site in the UK), or similar sites. Many freelancers work alone, but that doesn’t mean you should become a loner. On the contrary, be a networker – developing new connections with clients is crucial for your continued operation. Meet other freelancers on professional networking events to receive advice and support when needed. Consider renting a co-working office to meet like-minded people who can help you build your business. If you're having doubts about your ability to launch a successful freelancing venture, maybe it's too early. Take active steps to prepare to operate on your own. Yes, you will panic, question your abilities and doubt yourself. Fight the urge to give up and, instead, change your attitude ... you can do it! Everyone, even the most successful entrepreneurs, had to start somewhere and this is your chance to show the world what you can do. With preparation, a good plan for branding and financial know-how, you'll be on your way to launching a long and incredibly satisfying career as a freelancer. Why the name change? Because WiserU provides training and services to more than just the unemployed and miserably employed. We train and equip organizations to maximize LinkedIn for sales, recruiting, fundraising, or marketing. We also prepare college students and recent grads to master LinkedIn and land degree worthy jobs through training and services. Please continue to enjoy this helpful LinkedIn and career blog by visiting WiserUTips.com or Getajobtips.com. Subscribe via the widget on the right sidebar to receive it weekly and share posts whenever you think others could benefit. 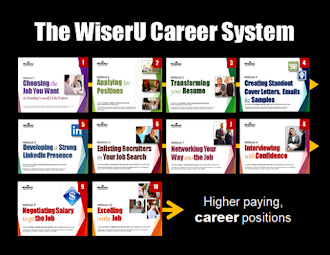 To learn more about WiserU and how we can help your company or class master LinkedIn, or how we can help you further your career through expert LinkedIn and career services, visit our main site, WiserU.com. Are you a young leader looking for inspiration and guidance? Use coupon code: wiseru to save $5 on membership.